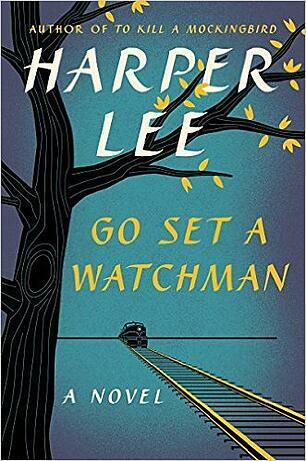 Should You Read Harper Lee's Go Set a Watchman? By Andrea Koczela. Jul 16, 2015. 9:00 AM. Over the last several months, speculation ran high about Harper Lee’s second novel, Go Set a Watchman. Then, following the release of the book on July 14th, negative reviews flooded the news. Not only have critics claimed the novel is “a mess,” many have been shocked by Atticus' transformation from hero to racist. Beyond the literary merits of the book, strange circumstances surround its publication. So the question arises: should one read the so-called sequel of To Kill a Mockingbird? Much of the controversy involving Go Set a Watchman centers on the question of elder abuse: did Lee drive the choice to publish the book or was she manipulated by her lawyer, Tonja Carter? Additionally, there is now reason to think that Watchman is really an early draft of Mockingbird--not a true sequel at all. First, Lee lives in a retirement home where she is borderline deaf and blind. Lee’s sister, Alice, was the lawyer who represented Lee until a few years before her death in November of 2014. The relationship between the sisters was warm; Lee even called Alice “Atticus in a skirt.” Alice and Lee were wholeheartedly opposed to the publication of another book. A few years ago, Tonja Carter assumed control over Alice’s law firm and took over Lee’s affairs. Lee has few surviving family members and sees few friends. Just two months after Alice’s death, Carter announced the discovery of Go Set a Watchman. She allegedly showed the manuscript to Lee, who reversed her life-long determination not to publish again, saying that she would be “happy as hell” to see the book released. On the contrary, however, a publisher’s proof could be worth upwards of $100,000. Additionally, both Sotheby’s and Pinkus claimed that Carter was present for the entire meeting. The New York Times reported that Sotheby’s valued the manuscript at up to seven figures. It was before leaving the meeting that Carter claims to have first seen the manuscript for Watchman, an item which she says was unrecognized by Pinkus and Sotheby’s. Always a private person, access to Lee in her nursing home is extraordinarily tight. There is a list of people authorized to see Lee (supposedly numbering just twelve). Many of Lee’s old friends claim they cannot see her. According to Carter, this list exists at Lee’s request. Still, friends report that they never see Lee alone; instead, Carter is always present. While some longtime friends of Lee assert that she’s still sharp, others say the contrary. Mary Tucker, a friend of Lee since the 1960s and an approved visitor, describes Lee quoting passages of Shakespeare, but simultaneously forgetting recent events and recognizing her with difficulty. Tucker expresses concern about whether Lee really wished to publish Watchman. Many other friends refuse to discuss Lee's mental state but express concerns off the record. After gaining power of attorney for Lee in 2012, Carter has pursued tighter and tighter control over the rights to Mockingbird. In May of this year, a nonprofit organization named Mockingbird Co. was founded with the purpose of “insuring the literary significance and historical contribution made by To Kill a Mockingbird.” Lee is the director and Carter is vice president. While some of the proceeds are earmarked for the Alabama community, the bulk of its finances are undisclosed. While it’s unclear whether Carter will personally benefit from the organization, its existence has not been disclosed to Lee’s nephew, one of her few surviving relatives. It is increasingly likely that Watchman is the early draft of Lee’s famous work. It is well documented that the initial title for Mockingbird was Go Set A Watchman and remained so in first drafts. Lee spent years rewriting her early version of Mockingbird. More recently, it has been proved that many passages in the two books are identical--not just sentences or phrases, but entire paragraphs. After refusing to publish another book for her entire life, is it likely that Lee would knowingly release an unedited manuscript that is in all likelihood the first draft of Mockingbird? It is impossible to know, but the circumstances surrounding Watchman’s publication are murkier than one would like. So is the book worth a read? Tell us what you think in the comment section below.